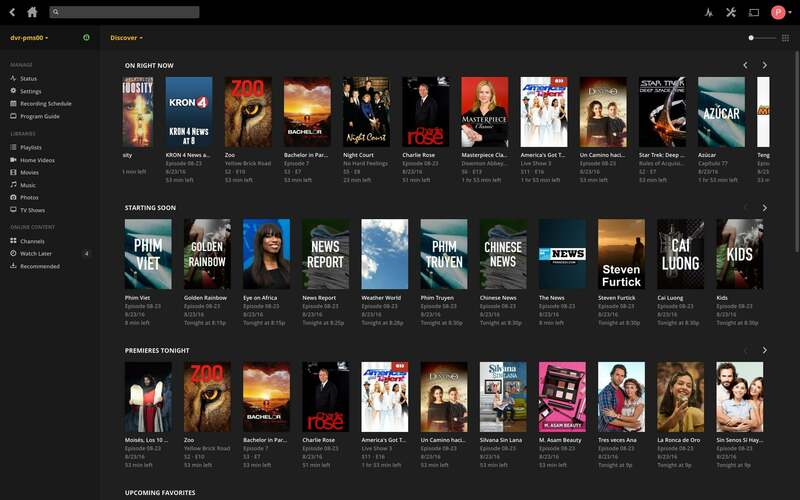 Windows Media Center DVR holdouts: Plex wants to be your modern replacement. Creating your own whole-home DVR system is about to get a lot simpler, thanks to Plex. 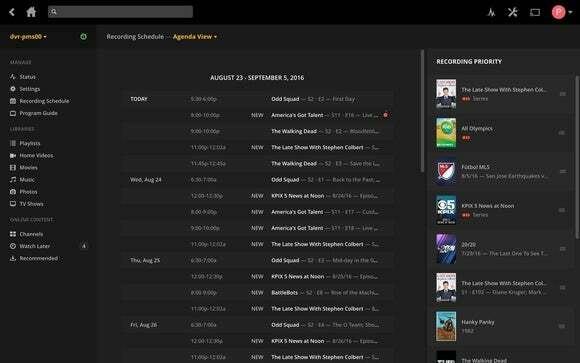 Plex Media Server users can now record live TV with either an antenna or a CableCARD using SiliconDust’s HDHomeRun tuners. They can then stream those recordings to phones, tablets, computers, game consoles, set-top boxes, and smart TVs. 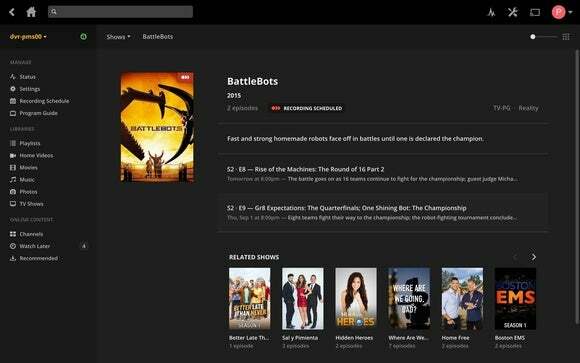 The feature is currently in beta for Plex Pass subscribers. Here’s how it works: If you have an over-the-air antenna, you can plug it into either an HDHomeRun Connect or HDHomeRun Extend tuner, which then connects to your router over ethernet. Cable subscribers can also record non-DRM CableCARD channels using an HDHomeRun Prime tuner. 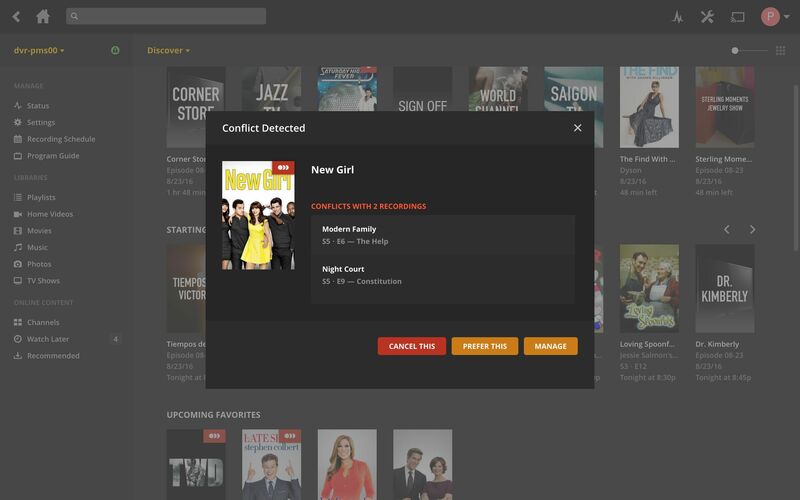 Once connected, Plex’s Media Server software will recognize the tuner and download local program guide data, so you can schedule recordings on an individual or series basis. You can use Plex’s client apps to stream recordings over your local Wi-Fi network or remotely over the internet. Although it’s technically in beta, Plex has managed to pack a fair amount of features into this initial release. 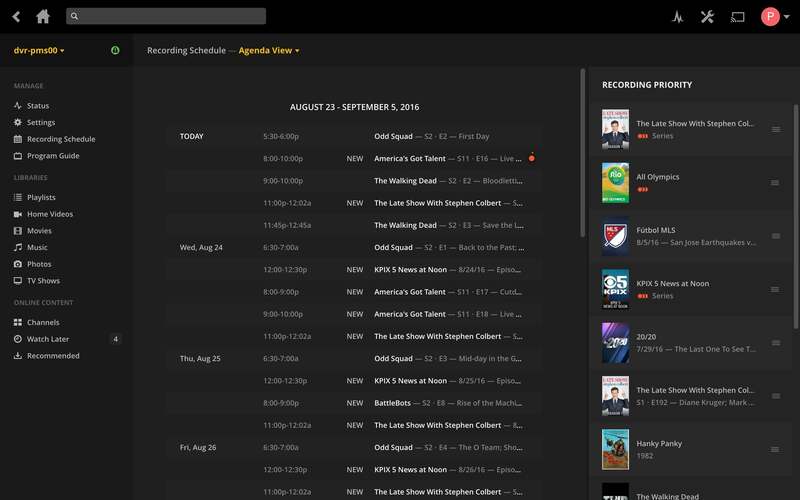 Through Plex’s web interface, you can prioritize recordings, set buffer times, and get notified of conflicts based on the number of tuners you have. An experimental feature for HDHomeRun Connect tuners also transcodes while the recording is in progress, provided your PC or NAS box is powerful enough. Plex’s apps support offline viewing as well, and you can sync recordings to cloud storage services such as Google Drive and Dropbox for when your home server isn’t available. The most obvious use case here is for desktop-PC and NAS-box owners who want to roll their own DVR solutions, either with over-the-air broadcasts or CableCARD channels. While Windows Media Center was a solid option in the past, it’s no longer supported by Microsoft in Windows 10, and current alternatives are a major hassle to set up. Besides, Media Center’s “extender” system relies on aging hardware for streaming to other televisions around the house. 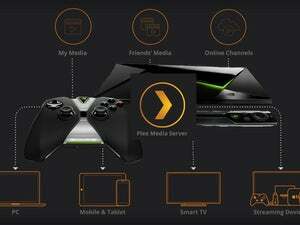 But Plex will also support recording onto the Nvidia Shield Android TV, as part of the company’s push to be less PC dependent. Once you’ve set up the HDHomeRun tuner, you can have a single set-top box that plays recordings on your television and streams them to other devices. Over time, though, Plex plans to support more than just HDHomeRun tuners. Plex will work with some partners directly, Williams says, but companies such as Hauppauge and Elgato will be able to add support on their own. In the long term, the Plex community could be allowed to build device support as well, though Williams didn’t give a timeline for any of these developments. “We had a pretty large intersection of Plex users who also use HomeRun devices, so it was low-hanging fruit,” Williams says. If there’s one major missing piece from Plex’s DVR solution right now, it’s the ability to time-shift watching live TV. Without making any firm commitments, Williams says Plex is looking into it. “You could imagine that at this point, 90 percent of the work is done with the components that are already built,” he says. As for pricing, the DVR service requires a Plex Pass, which costs $4.99 per month, $40 per year, or $150 for a lifetime membership. TV program guide data costs money, after all, and while Williams says DVR will be available for non-subscribers in the future, it’ll likely be in a limited trial capacity or have recording limitations. We’ll have a deeper dive into Plex’s DVR solution soon.